I used Deckle edge scissors, KMA paper and the apple is an FM sticker. I enlarged the horsie from a smaller die cut and added my own embellishments. 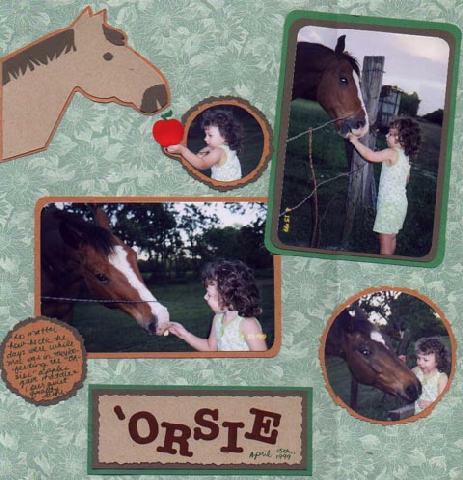 I entitled the layout 'orsie because I never want to forget how she pronounced it when she was 3 years old.